﻿ ASTROLOGY OF THIRD MILLENNIUM � Blog Archive General Motors got to benefit from the law of protection against the bankruptcy. You are here: Home» Finances » General Motors got to benefit from the law of protection against the bankruptcy. General Motors asked to benefit from the law of protection against the bankruptcy on June 1, 2009. 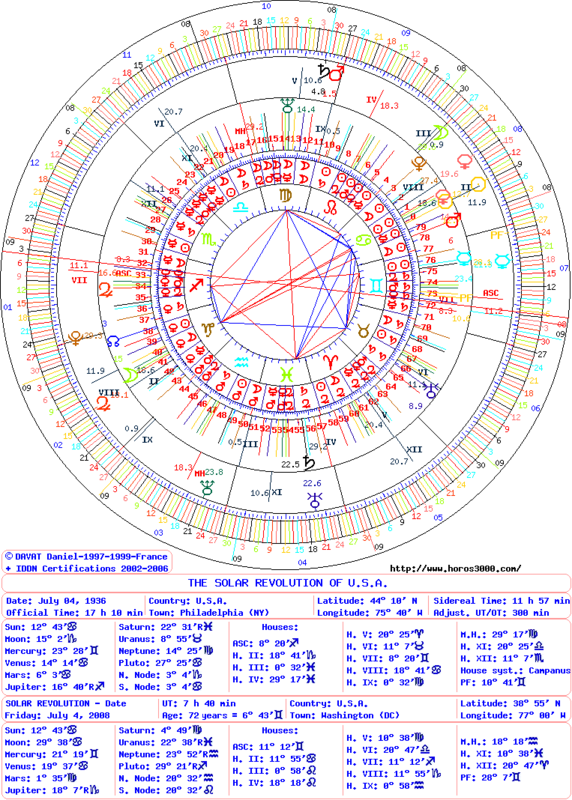 On June 1, 2009 positions at 4°34′ of Taurus. This degree is close to the degree of the transit of Mars (0°34′ of Taurus) and the degree of native Mars (6°03′). It has also a conjunction with the cusp of the House VI (11°04 of Taurus). Mars in Taurus has a Very Evil quality into its sign of Detriment. This position of Mars in Taurus announces a bankruptcy because it is also governor of House II, that of finances. At the same time, Saturn has an Evil quality (in Virgo). It has a transit near the Midheaven. It announces financial difficulties (Saturn of Evil quality and also governor of House II) of a leader (Midheaven). 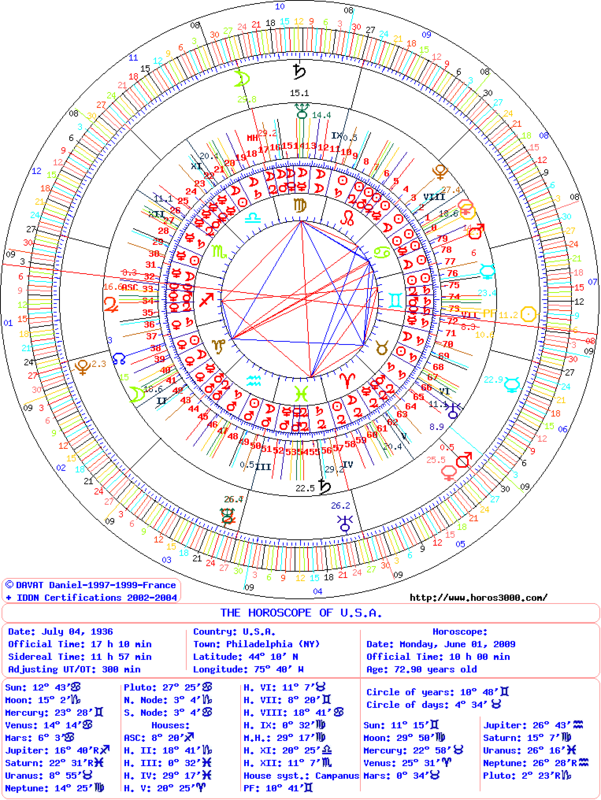 On June 1, 2009 positions also at 4° of Taurus. The energies are the same. It positions in House XII (of SR), that of chronic illness and of greatest weakness about the economy. This entry was posted on Tuesday, August 7th, 2012 at 9:32 amand is filed under Finances. Both comments and pings are currently closed.